The first necessity is therefore to avoid relying only on a single technology or orchestrators which are “cloud-dependent”. And as operational efficiency in multi-cloud environments is dependent on accurate synchronisation of IP resources across clouds, the second necessity should be to make sure the IP address management (IPAM) solution implemented is independent of whichever orchestrators and tools are being used. IPAM and DNS, together with IP protocol, are the glue of the complex network that permits communication between all cloud islands. For enabling easy transition in order to ensure cloud independence, choosing the right DDI (DNS-DHCP-IPAM) solution therefore becomes key. Lock-in can be extremely detrimental, particularly when you reach the stage where you need to transition out of a certain cloud for requirements such as scale, security or governance. Unfortunately, companies forget to prepare for that at the start of their cloud journey, so too often become trapped by proprietary technology. Take the example of a cloud-dependent orchestrator, or a database which does not adopt standards. If you had made the decision to work with such tools, you would be left reliant on working only with the associated cloud provider, as the alternative would be to re-engineer your network and re-train your internal staff. It’s a worrying fact that, according to IDC research, at the end of 2017 only a handful of enterprises were confident they have a multi-cloud strategy which allows companywide, well-orchestrated, automated, and secure operations. Then at the next level there’s the risk of incorporating IPAM solutions which do not integrate well with the deployed IT automation ecosystem. Selecting an unsuitable IPAM, or indeed DDI, will give you a major headache when you try to migrate or extend deployment of your services onto other clouds. Another common scenario is where lack of communication between siloed teams leaves your organisation using multiple IPAM solutions, which in turn brings conflicts due to inability for IP synchronisation. And good luck if one day you decide to bring everything back on premise! True cloud independence requires the capability to move from one provider (whether public or private) to another, in as frictionless a manner as possible. Because of the enhanced efficiency it brings, orchestration should therefore be given top priority in any cloud deployment strategy. As well as using orchestrators which work with multiple clouds, businesses would do well to make sure processes and workflow for provisioning resources (IDs and IPs) take place at the highest level, allowing for complete traceability of which resources were correctly provisioned. To maximise independence, the IPAM used should obviously be capable of integrating with almost any orchestrator through its API or adapters. DDI becomes a key component, as it is in fact an abstraction layer for DNS synchronisation and IP address provisioning. Using an integrated DDI solution to manage your infrastructure eliminates risk of conflicts which can occur when multiple IPAMs are in place. A centralised and cloud-agnostic IP address management process that can accommodate any cloud provider can bring consistency of IP address plan across the various providers a company can have. 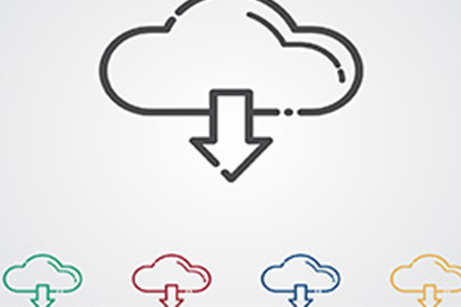 It gives the IT team a unique repository, as well as global management of the IP address system to make multi-cloud effective, secure, and well-managed. An automated DDI allows enterprises to move to different DNS servers of different cloud providers through APIs, without the heavy lifting of reformatting all the workflows. By adding one-click functionality for deploying services, as well as “one-click reversibility” – where customers can test a workload in one platform and move it to another or bring it back on premise – challenges brought by manual resource provisioning are easily overcome. Enterprises wary of cloud dependence or lack of multi-cloud interoperability will consequently be less hesitant to launch their cloud strategy. Modern network infrastructures sprawl over on premise and off-premise – across many clouds – limiting visibility into the virtual networks or IP addresses. Cloud migration is heavily dependent on IPAM as you need visibility at the start, and capacity to manage the migration in correlation with DNS services. Automating these tasks using vendor and platform agnostic solutions helps avoid time-wastage, reduces cost, and takes away much of the risk. And most importantly, it’s a major step towards ensuring your business remains truly cloud independent. To explore more about how to avoid cloud lock-in, why not Register Free here for IP EXPO Manchester 2019?